We have courses ranging from Puppy Preschool to Graduate 301 Obedience. There is something for every dog at every age and skill level coupled with positive reinforcement training. All classes are in a group setting with the owner present. In other words, we will teach you how to teach your dog. As a result, you will have a well behaved member of your family. Classes are held indoors. Agility is a sport with canine athletes and humans doing their best to be good handlers. While agility is good for exercise, boosting confidence & fun, it has become so much more. It can be as much, or as little as the individual team would like it to be. Our highly skilled team of instructors can take you and your dog from beginner foundation level to master competition level. Our instructors stay current with the most effective training methods and are successfully competing at the top levels with their own dogs. Whatever level you choose to have fun at, we have a class for you. Classes are held indoors and outdoors weather permitting. Click here for more info. Obedience competition is a great opportunity for you and your dog to work as a highly-tuned team. Accuracy and precision are essential as well as the natural movement of the handler and the willingness and enjoyment of the dog. Whether the goal is to train to compete or further build on your dog’s confidence and skills, this sport will provide physical and mental exercise. This sport is both fun and challenging! We offer all three levels, Novice, Open and Utility. Our skilled instructor can take you and your dog from Novice to Utility and beyond. Competition Obedience classes will provide you with the tools you need to learn your exercises, achieve your goals and perfect your performance. All while enjoying time with your dog! Classes are held indoors. 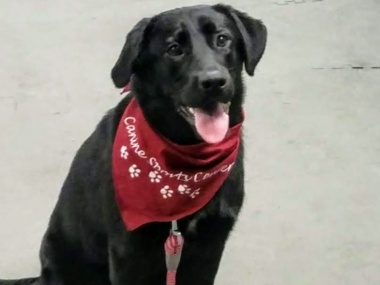 Breed Handling Training classes at the Canine Sports Center are designed to give students of all levels the skills that are needed to present a dog at its full potential in breed conformation shows. Our Breed Handling class is taught by professional handlers and experienced owner/breeder/handlers. Students are taught proper pre-ring procedures, ring procedures, etiquette, dress, as well as how to train their dog for the best performance in the ring. Dog training includes getting the dog comfortable with the ring experience, proper stacking, gaiting, and free-baiting. Other topics covered are preventing unwanted behaviors in the ring, proofing the stacks, and tricks of the handling trade. Our classes also accommodate junior handlers. Click here for more info. In addition to our core classes, we also offer courses in Nose Work, Canine Good Citizen and testing, private training and behavioral consultations. We are continually expanding our programs to keep our curriculum at the cutting edge. 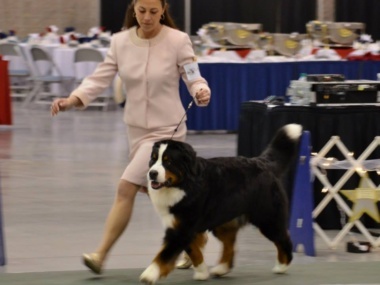 Sara Gregware is a professional handler, AKC registered and a member of the Professional Handlers Association, with a reputation for having a special talent for exhibiting dogs. To date, Sara has championed over 100 dogs. She is a multi-Best in Show handler and is credited with having multiple group winners and group placements.